There is no doubt that Google keeps coming with new features that aim at enhancing the security of user’s data stored on Google Cloud. A set of new security features have recently been rolled out by Google. 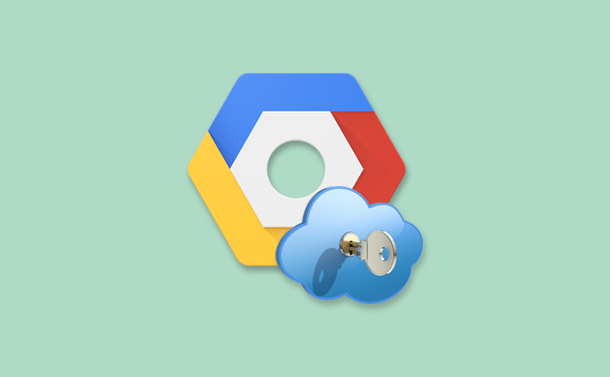 The main aim is to provide improved security to the Google Cloud Platform(GCP). The first feature that Google has come up with is Virtual Private Cloud Service Controls. If you are concerned about the privacy of your data on Google Cloud that it’s not a part of your secured network, VPC service controls are the best option. Google’s VPC Service Controls establish an extra layer around your data that provides added security to it and prevents it from any illegitimate access. Google is the first to provide virtual security boundaries to API-based services like Google Cloud Storage, BigQuery, and Bigtable. Currently, VPS Service Controls is in alpha stage and secure sensitive data stored on the cloud by creating an added layer of security which is simple, speedy and flexible. If you wish to sign up for the VPC Service Controls, click here. Agreed, organizations have started delegating more and more applications to the cloud. It, however, is still difficult to understand the risk factors and the level of cloud assets associated with it. Google’s new Cloud Security Command Center (Cloud SCC), provides a centralized dashboard that caters to letting you see and monitor the catalogue of all your cloud assets, scans that storage options where you can store your sensitive data, check for susceptibilities on the web and also lets you review that access rights to your critical resources. Cloud SCC is in its Alpha stage and provides a detailed explanation of how healthy and secure are the GCP services like Compute Engine, Cloud Storage etc. are. If you wish to sign up for the Cloud SCC alpha program, click here. We cannot trust anything blindly, isn’t it? Same goes for Google Cloud services we use. Until and unless you trust a certain cloud service provider, you will not save any data on it. Google Cloud Services try their level best to provide utmost transparency to their customers. This makes it easy for users to trust the application as well as have an insight to what exactly happens to their data stored on the cloud. With Access Transparency, Google aims to provide audit logs of authorized administrative accesses by Google Support and Engineering for GCP services. While providing audit logs, it is also looking forward to maintaining a high performing and reliable environment. If you wish to get an insight into Access Transparency, visit the product page and sign up today. We all know Internet-facing services should be quick and responsive. There, however, is another major concern that needs our attention, protection against malicious attacks. Catering to this much-needed attribute, Google has come up with Cloud Armor. Cloud Armor is a Distributed Denial of Service (DDoS) and application defense service with technicalities like the ones used in Gmail and YouTube. Cloud Armor works with Cloud HTTP(S) Load Balancing and is armed with cultured rules language and a global enforcement engine. Using Cloud Armor, users can easily define customer defense mechanism based on different parameters from layer 3 to layer 7. If you wish to get an insight into Cloud Armor, visit the Cloud Armor product page. Securing sensitive information is the need of the hour. A major factor that adds to it is how can we identify that we are protected? Google has now come up with Data Loss Prevention (DLP) API. DLP is a service that easily determines and categorizes confidential data you store in the digital assets of your organization. DLP was introduced last year and this year Google has made it available generally with many features added to it. Some of them include credentials identification of the service accounts, provision of developing customized sensors that depend upon the patterns, context rules, and dictionaries. If you wish to get an insight into DLP API, visit the DLP API product page. A built-in-service that lets users and organizations access and manage individuals or groups who wish to get an access to the GCP resources. This built-in-service is called Cloud Identity and was announced last year by Google. Cloud identity acts as a IDaaS service solution that lets organizations use features such as management of devices and application and security of the enterprise. If you wish to get an insight into Cloud Identity, visit the Cloud Identity product page. Along with the many features introduced in the GCP security, there have been other announcements too. Google also announced that “Google’s underlying common infrastructure, has received the FedRAMP Rev. 4 Provisional Authorization to Operate (P-ATO) at the Moderate Impact level from the FedRAMP Joint Authorization Board (JAB)”. In simpler terms, now on organizations and organization that reside in countries covered under GCP can use and benefit from this new certification. Lastly, there have been announcements made about the collaboration of Google with third-party security companies with the aim of providing additional security. Some of the partner companies till date are Rackspace, Dome9, and RedLock. So, this was all about the new Google Cloud Platform Security Features that Google has recently announced to make Google Cloud services even more secure and reliable. We hope that you liked the article, do share your feedback in the comments section below.